One more solar flare due to sun’s eruption occurred and it is the largest of the last five years. The New York Times reports that the coronal mass ejection will hit earth at about 1:30 a.m on Thursday morning. 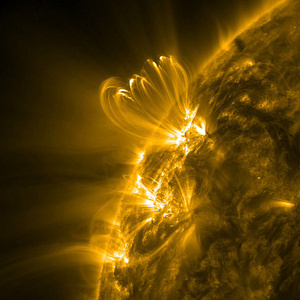 The solar flare is racing toward Earth, threatening to unleash a torrent of charged particles that could disrupt power grids, GPS and airplane flights. The sun erupted Tuesday evening, and the effects should start smacking Earth around 4 a.m. PST today, according to forecasters at the federal government’s Space Weather Prediction Center. They say the flare is growing as it speeds outward from the sun. NASA captured a video of the solar flare as it erupted and hurled a “big blob of magnetized material” toward the earth. The AR1429 sunspot region shouts off a solar flare on Sunday and two more yesterday. The AR1429 region is currently pointing almost directly at earth which means that the coronal mass ejection could have a big impact on earth. 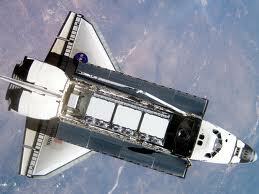 Atlantis space shuttle successfully docked with the International Space Station for one last time at 15:07 GMT yesterday. The 12-day mission will bring NASA’s shuttle program to an end. Two days after its launch from the Kennedy Space Center in Cape Canaveral, Florida, Atlantis became the 37th shuttle to dock with the ISS. Before connecting with the ISS, the Atlantis did the customary back flip to allow station crew to photograph its heat shield. The snaps will be sent to ground controllers to check for any damage. Atlantis is carrying the Raffaello multipurpose logistics module, loaded with spares and supplies. Pilot Doug Hurley and mission specialist Sandy Magnus will today use the ISS’s Canadarm2 robot limb to shift the module from the shuttle’s cargo bay to the station’s Harmony node. Atlantis is also carrying enough replacement parts to keep the space station operating once the shuttle program is shut down. Atlantis space shuttle launch may be delayed by Weather Conditions on Friday morning. 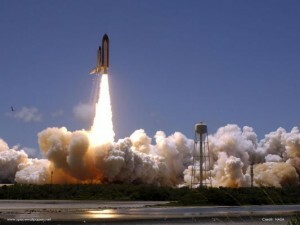 The shuttle launch of Atlantis is the final mission in NASA’s 30 year shuttle program. According to Canadian astronaut Col. Chris Hadfield from the Kennedy Space Center in Florida there’s a 70 per cent chance of rain or thunderstorms at Cape Canaveral, which could delay the shuttle launch. The countdown had begun for Scheduled launch time of 11:26 a.m. ET with the fuel tanks full and no technical issues to report till early Friday. 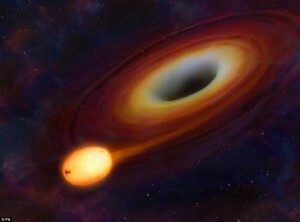 Black hole consuming and ripping apart a star is detected by scientists!! Scientists have detected a massive black hole consuming and ripping apart a star within the constellation of Draco. Astronomers found a powerful beam of energy that had crossed 3.8billion light years and thought it as a typical ‘gamma ray burst’ from a collapsing star. That high-energy jet of light beam was produced by a star about the size of the sun being swallowed up by a black hole a million times more massive. The event – known as Sw 1644+57 – appeared to come from the centre of a galaxy nearly four billion light years away. This amazing discovery was reported online by the journal Science. Today’s Lunar Eclipse is the longest complete lunar eclipse with in past 11 years. 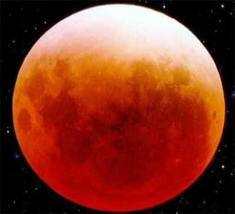 According to some astronomers the moon will get blood red during the early morning hours. The longest lunar eclipse occurred last time was in July 2000 and after 11 years today is the day we can watch another longest complete lunar eclipse which will last for around 100 minutes. The Sky Watchers Association of North Bengal (SWAN) in India will be doing a live web cast of the event which starts at 20:12:36 UT, which is 15:12:36 EST. So people in US can watch the eclipse in the mid-afternoon.